The 9M113 Konkurs missile is increasingly commonplace in current and recent conflict zones, and represents a capable, long-range system for its age. In recent months, Konkurs systems have been employed by Houthi forces in Yemen, pro-government fighters and separatist forces in Ukraine, and various Syrian groups, including Ahrar al-Sham and the Syrian Arab Army. 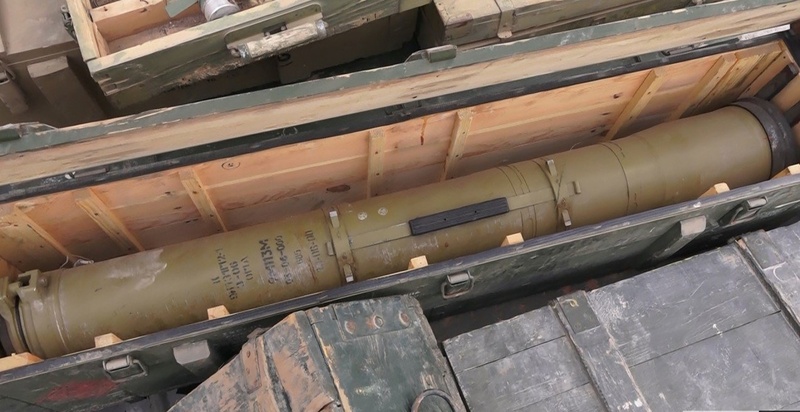 The most advanced variant of the 9M113 missile documented in the hands of non-state actors so far, is a 9M113M missile with upgraded 9N131M2-1 warhead that was captured by IS in Syria (see header image). Markings on the missile tube indicate it was manufactured in 2006. The 9M111 Fagot (‘Bassoon’; NATO reporting name: AT-4 Spigot) and 9M113 Konkurs (‘Contest’; NATO: AT-5 Spandrel) were partially co-developed as semi-automatic command to line-of-sight (SACLOS) replacements for the 9M14 Malyutka (Little One; NATO: AT-3 Sagger). The earlier 9M14 featured manual command to line-of-sight (MCLOS) guidance, requiring an operator to manually guide the missile onto target. This method required a high degree of skill to operate, and necessitated controlling the missile’s flight through a magnifying periscope from a fixed position. Development began in 1962 at KBP Tula, under the oversight of chief designer Arkadiy G. Shipunov, formerly of the Central Scientific Research Institute for Precision Machine Engineering (TsNIITochMash). KBP were directed to develop two new SACLOS anti-tank guided weapons (ATGWs), one to be man-portable, and the other to be a heavier, longer-range variant to be employed from armoured fighting vehicles. This was concurrent with a relatively new trend in integrating ATGWs into purpose-built tank destroyers (sometimes ‘ATGM carriers’ or ‘ATGW carriers’), exemplified in Soviet service by the 9P148 tank destroyer, based on the BRDM-2 chassis. This new family of missiles was able to use a common control unit (the 9P135, and later 9P135M, etc.) and guidance system, resulting in two missiles that differed little in theory of operation. The primary difference in the systems came from their maximum engagement ranges and warhead size, with the 9M113 being longer ranged and carrying a larger HEAT warhead. The man-portable deployment of 9M113 series missiles has proven much more commonplace in conflict zones, largely due to the fact that 9P135M (and later 9P135M-1, etc.) control units with 9M113 Konkurs missiles were adopted as part of the standard loadout for the Soviet BMP-1P and BMP-2. In the case of the BMP-2, for example, 9M113 missiles are launched from the 9P56M control unit/firing post mounted atop the turret. However, a spare 9P135M complete with tripod is issued and carried for use by dismounted infantry. As a result of the proliferation of the BMP-2, additional 9M113 series missiles were produced and exported in large numbers to Soviet client states, and remain in service around the world. In the early 1990s, an improved version known as the 9M113M (NATO: AT-5B) was introduced, featuring a tandem HEAT warhead designed to defeat reactive armour. According to Russian sources, it has an armour penetration of more than 750 mm rolled homogeneous armour equivalency (RHAe), compared to 600 mm for the 9M113. There are at least two updated warheads for the 9M113M, the 9N131M1 and later 9N131M2-1. The latter was documented in Syria in March 2016, with a production date of 2006. Numerous western sources refer to the 9P135 with 9M113 missiles as the 9K113. However, this designation actually refers to another ATGW, the 9K113 Shturm-V (‘Storm’; NATO: AT-6 Spiral) and its 9M114 missile. 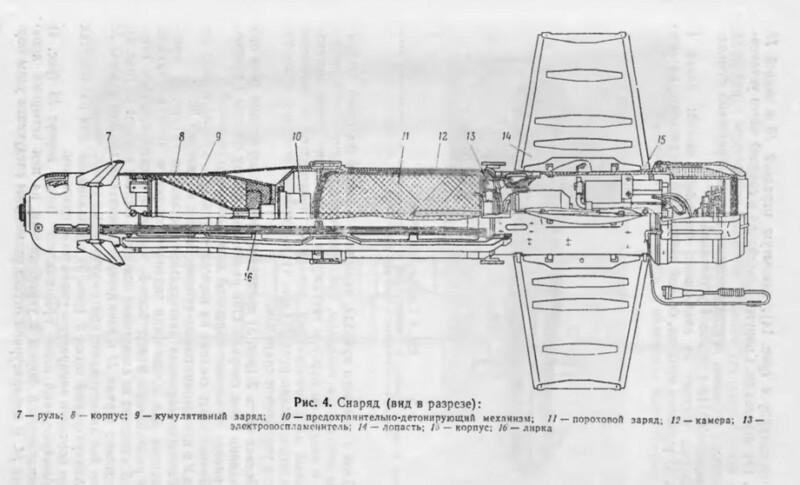 The system is also referred to by some western military sources and Russian technical sources as the 9K111-1 (with the 9M113 missile) or 9K111-1M (with the 9M113M missile), however this designation does not appear to have been used in contemporary Soviet manuals on and is likely to have been applied at a later date. Photo credit: Flickr user Thomas T.
The Konkurs remains the primary anti-tank system for mechanised infantry in most Soviet successor states, including Russia. It also remains in service in other Eastern European countries of the former Soviet bloc and in formerly pro-Soviet countries elsewhere, including Syria and Algeria. In addition, 9M113 or 9M113M missiles have been supplied with BMP-2 IFVs to India, Iran, Finland and other states. The former Czechoslovakia and former East Germany produced the 9M113 under license, and production was also undertaken by Vazov Engineering Plant (VMZ) in Bulgaria and Bharat Dynamics in India. The latter two manufacturers still offer the system for sale. Iran has also assembled Konkurs missiles (known domestically as the Tosan) under a licence, which also included licenced production of the BMP-2 IFV, signed in 1991. Several sources have claimed that the North Korean Bulsae-3 is a copy of the 9M113 series, however this is unlikely. The system has also been acquired by a number of non-state armed groups operating around the world. In particular, the 9M113 has been acquired by several groups in Syria and Iraq, including various Iraqi Shi’a militias, various factions aligned with the Free Syrian Army, Jabhat al-Nusra, and the Islamic State. One US government publication gives the 1992 export price of the 9M113 missile as approximately 13,000 USD, whilst the 9P135M control unit sold for 135,000 USD. The 9M113 is a wire-guided missile operating on the SACLOS guidance principle. This system only requires the operator to keep the 10x power 9Sh119M1 optical sight trained on the target during the missile’s flight, requiring significantly less operator training to achieve proficiency versus an MCLOS system. Once the target has been acquired and the operator has pressed the firing trigger, there is a delay of approximately 300 ms, during which a thermal battery brings the 9B61 gyroscope up to operating speed. A pyrotechnic gas generator is then initiated, which expels the missile from its tube at some 64 m/s. This also inflates four thin sheet metal fins which are wrapped around the missile whilst in the tube. Small fins at the nose of the munition, which serve as control surfaces for steering, are held under spring tension and release once the missile has left the tube. Photo credit: BOCN member pzgr40. The operator tracks the target through the optical sight during the flight of the missile, using the flywheels of the 9S474 control unit to traverse the sight in azimuth and elevation (the 9S451 guidance unit is comprised of the 9S474 control (hardware) unit and the 9Sh119 optical sight). Even at the maximum range of 4 km, an operator only has to maintain a lock on the target for fewer than 20 seconds before impact occurs. Immediately after launch, an IR beacon in the tail of the munition is activated. This is used to effect automatic flight corrections in the missile’s position relative to the target. Throughout the missile’s flight, command signals are sent from the control system in the firing post via wire to the control system of the missile. By employing a physical wire connection the system is able to avoid radio frequency jamming that could cause a wireless system to fail. The system is not without weakness, as any barrier to clear observation of the IR illuminator – such as heavy snow or sand storms or IR-blocking smoke – will cause the system to suffer from reduced or negated guidance capability. In this case, MCLOS guidance is integrated into the launcher as a backup, however its use is likely to result in reduced accuracy when employed by an operator primarily trained in the use of SACLOS guidance. 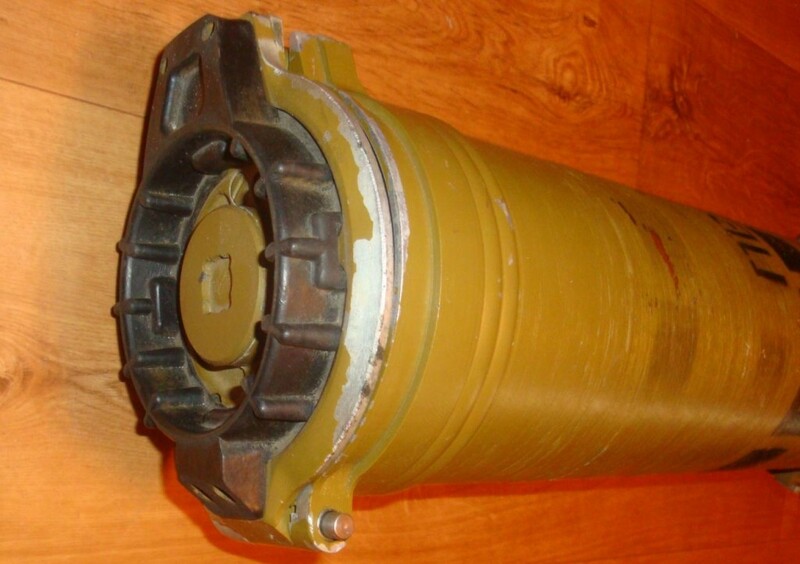 The 9M113 features a 9E234M fuze that is armed through the process of ejection from the launch tube via an inertial switch that functions when initial acceleration ends. Concurrently, a separate 9Kh237-1 electric initiator cartridge is used to function the 9Kh179-1 rocket sustainer motor, accelerating the missile to an average 208 m/s for the duration of its flight. Propellant gases from the primary motor are vented through two ventral ports. To complete all of the electro-mechanical and pyrotechnic steps necessary for arming the warhead, the 9M113 will travel approximately 70-75 m before energising an internal firing capacitor and arming. The firing function of the 2.7 kg OKFOL (95% HMX, 5% phlegmatiser) HEAT warhead is accomplished by the 9E234M ‘crush cone’ type point-initiated, base-detonating (PIBD) fuze. This type of firing mechanism utilises two spaced electrode cones which energize the firing circuit when the air gap between the two is crushed by the impact of the missile hitting an object. A crush cone system is a very reliable firing mechanism as it also allows for a graze to activate the firing circuit. In case of a clean miss (no impact at the end of the full 4 km length of wire), the 9M234M incorporates a pyrotechnic self-destruct feature. The missile is stored in a fibreglass tube, which is lightweight and designed to be buoyant even when fully loaded. The tube also incorporates several safety mechanisms, including a short-circuit plug which prevents the arming or firing of the missile with the front cover of the tube closed. The front cover of the tube is hinged on one side. Residual pressure developed by the gas generator is vented via twelve vent holes at the rear of the missile tube. Introduced in 1991, the modernised 9M113M features a tandem HEAT warhead intended to defeat reactive armour. The 9M113M tandem warhead contains 3.3 kg of the same OKFOL explosive compound as the 9M113, but has divided the loading amongst a smaller primary HEAT warhead in the body and a precursor shaped charge to defeat reactive armour. The precursor shaped charge is positioned immediately in front of the control surfaces, placing it inside the crush cone fuzing system. The primary HEAT warhead received an extensive redesign to incorporate the advances in shaped charge manufacture, including the addition of a new wave shaper. The inclusion of this technology into the new warhead design allowed the warhead to still retain much of the functionality of the original warhead with a reduced mass and size. The addition of the tandem HEAT warhead accounts for only 95 mm of additional length to 1,260 mm, and a weight increase of 2 kg to 16.5 kg. The 9M113M system also includes support for a thermal sighting system, and a warning function that alerts the operator to the use of an IR-based active protection system, enabling a switch from SACLOS to MCLOS guidance. 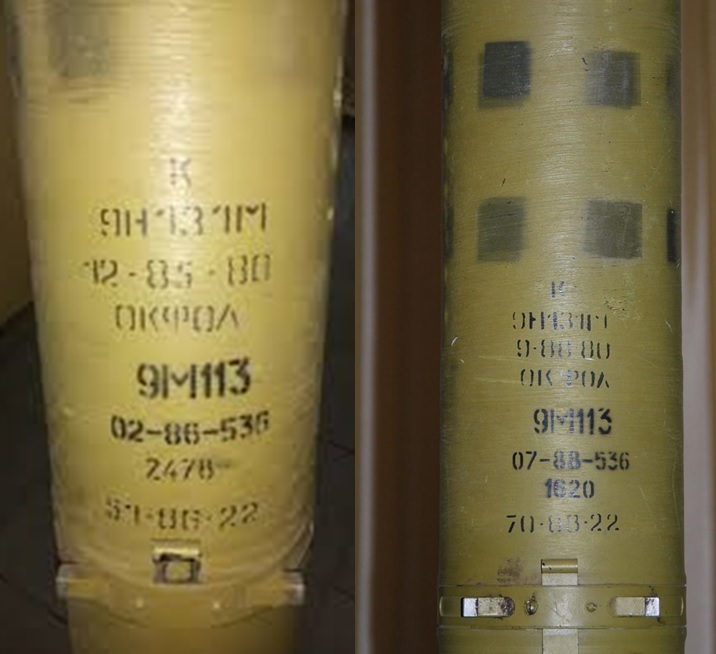 NOTE: ‘ОК СНАР.’ Is a commonly encountered markings found on Soviet and Russian munitions and their packaging. It is an abbreviation for okonchatel’no snaryazhennyy, or ‘fully equipped’. In this context, it is used to mean that the contents are fuzed, charged, and ready to fire. It can be difficult to distinguish between 9M111 series and 9M113 series missiles still contained within their tubes. These necessarily share very similar external geometry and are commonly produced in the same colour. The most distinctive diagnostic features are at the front and rear of the missile tube. The front of the missile tube is of a different design in 9M111 and 9M113 series tubes, with the latter being black in colour and of a more angular shape. The rear of the missile tube can also be a useful distinguishing characteristic. It has a thicker, black-coloured rear portion (although some later 9M111 series missiles have a black portion to the rear of the missile tube as well). 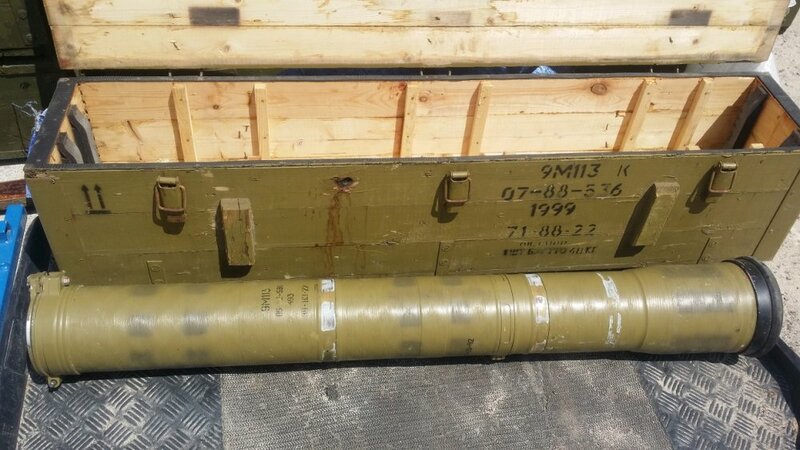 Also, as noted, 9M113 series missiles features twelve vent holes at the rear of the missile tube, whereas 9M111 series missiles are loaded in tubes with six venting holes. Technical specifications taken from official Soviet manual and sales literature. Special thanks to pzgr40 and confidential sources. I’m left a little confused. If this is a wire-guided ATGM, what purpose does the IR link provide? mikey, thanks for the comment. You have asked a good question. Essentially, the infrared beacon serves to communicate important positional information to the control unit. The control unit measures the angle at which the IR beam hits the IR receiver, which provides the primary data source to determine the position of the missile relative to the control unit. Well, there is something not clear for me and I hope get feedback here. sheet metal fins which are wrapped around the missile. How it wrapped and when it open and how it connect with the missile body? Thank you soi much for your consideration and looks forward to your response. Some imagery is available online which shows the connection and function clearly. We cannot share our images at this time. hi i know that kornet use the air intake from nose to control the fins. how does it discharge the air during flight. does it have air dischharge holes? Can anyone tell me what the small cylinder is, on the bottom of the launch tube? One end of it has the main connector that connectors the rocket to the launcher. This is covered by a cap when not loaded onto the launcher. I thought that the launch tube is essentially dumb with no electronics or battery but there does appear to be some active components in there. I was also interested in the connections to the missile. Looking at various photos online, it appears that the guidance wire runs from the back of the missile up the outside of the fuselage to the nose where it connects to the front lid of the launch tube. It’s the dangling wire with a red connector on, in some pictures. There is also a 6 pin connector on the tip of the nose of the missile which engages with another connector on the inside of the front lid, but only when the lid is closed. I assume this is for checking or testing the operation of the missile prior to launch – maybe checks the gyro is running? Lastly there are a pair of contacts inside the launch tube at the rear which I assume initiate the launch? Found out by translating some of the russian training manuals, its a holder for battery type Т-307Б. I assume to power the man portable launcher while the missile is in flight as there are no batteries in the launcher.